You might have seen private forums which doesn’t allow users to read contents without registration . Here is method by which you can browse and read forum topics without registration. This method actually uses a Firefox addon user agent switcher which can switch and assume different user agent profiles from Firefox itself . Usually some forums blocks guests from accessing forum contents , but they allows search engine bots like Google. So here we pretend ourselves as search engine bots , using user agent switch Firefox addon . Download User agent Firefox addon .And after installation,select to create another user agent from the options menu of the addon . Add following as description . 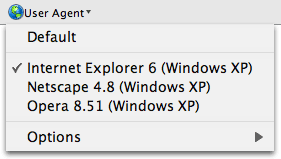 Now Start browsing with the new user agent . Download user agent Firefox addon and browse forums without registration .